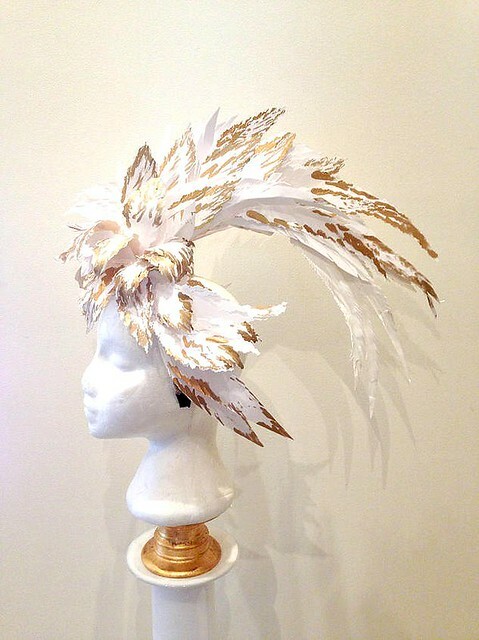 Mandy Duncan of Curl Paper Artistry in the Australian seaside town of Mornington, not far from Melbourne, has a seemingly limitless imagination when it comes to dreaming up paper decor... fashion accessories - particularly hats - but also dresses and event installations. I'll be focusing on her elegant chapeaus in this post as I find them quite amazing. What's even more impressive is that Mandy is self-taught and has only been working with paper a little more than two years! She told me this career actually had a funny start... while helping her daughter at a craft stall she made a paper flower from a travel magazine. A woman came along and wanted to buy it, so she made more in different colors and started experimenting with sheet music, pianola rolls and atlases, as well as paper that she painted by hand. "I'm a creative person so the more I work with paper the more creative my pieces become. 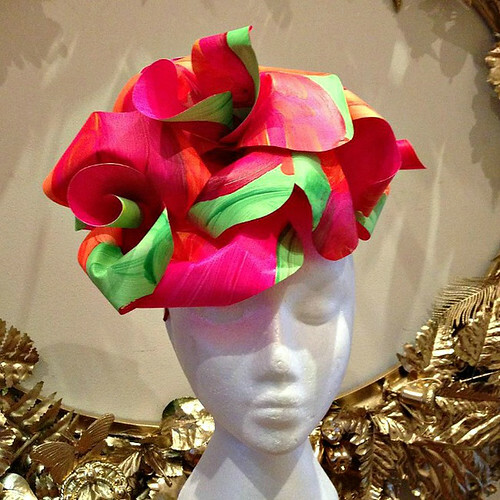 I've made wearable paper fashion, flowers for weddings, installations for shop windows and events, but I'm now concentrating on paper millinery which is really popular." 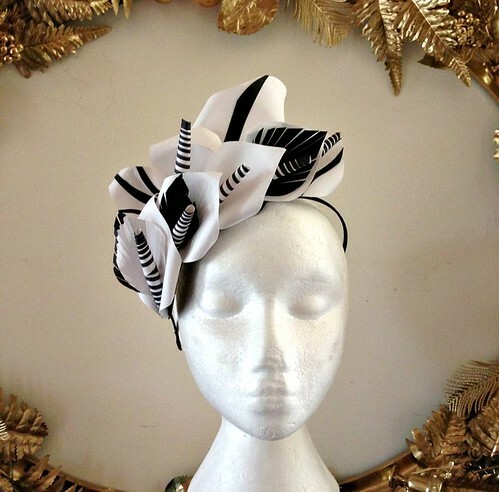 "Horse racing in Australia is very well-known around the world for ladies' fashion, especially the Melbourne Cup held in November. 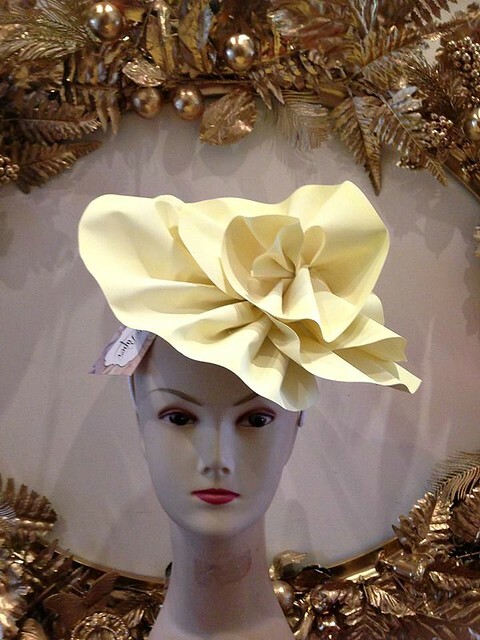 Women wear their most stylish outfits and I've made many hats for this racing event." 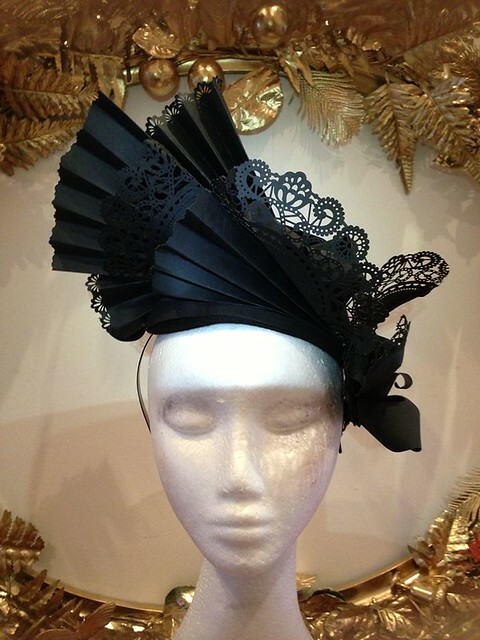 The sharp creases in this black headpiece make it especially dramatic. 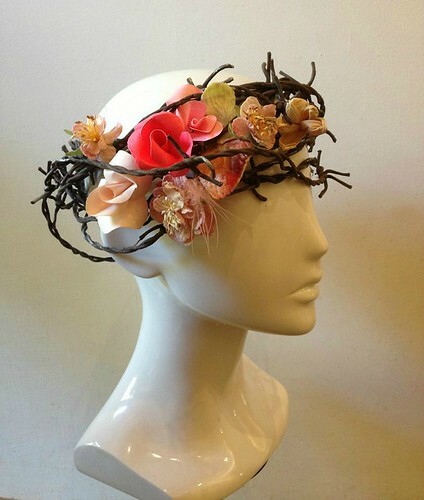 This rustic flower crown is almost demure in comparison. Softly sculpted yellow paper is a subtle vision of loveliness, while bold black and white calla lilies are attention-getters too. 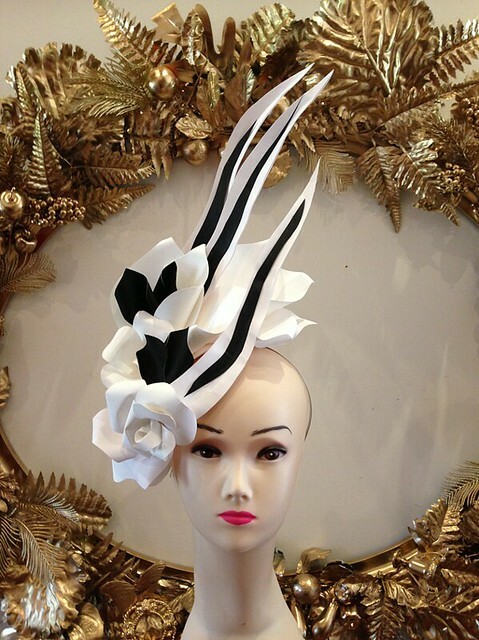 Locals can choose from a selection of Mandy's designs at The Essential Hat, a millinery shop in Melbourne. 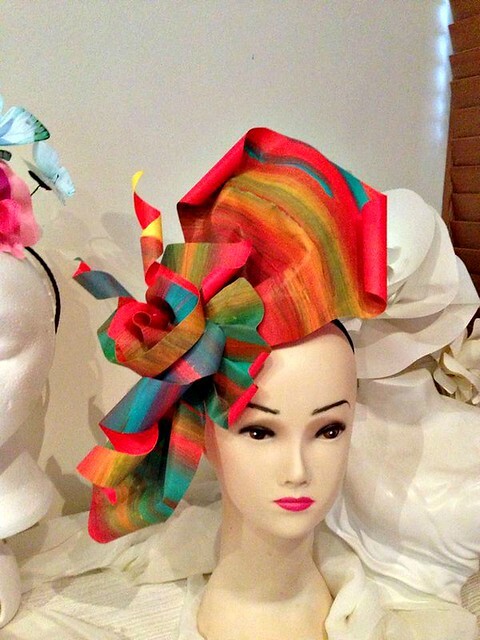 She accepts commissions and teaches Paper Couture workshops. In fact, Mandy has generously offered to respond if you are looking for paper artistry tips. Follow Curl Paper's latest creations via on Instagram and Facebook. I'm glad you enjoyed seeing them. Some day I'm going to try on a hat like one of these. Any of them would be perfect for the day at the Derby. I think so too, Maureen! My pleasure, Bronwyn. I'm glad you enjoyed seeing Mandy's work.